From Pevear and Volokhonsky, the bestselling, award-winning translators of "Anna Karenina" and "The Brothers Karamazov," comes a brilliant, engaging, and eminently readable translation of Tolstoy's master epic. I had it on my desk for about a year, and now I've given up and put it back on the shelf. War and Peace... it's not an easy read. At my workplace, it's slang for a long and tedious email. I have a vague memory of reading this in my early teens, but it must have been an abridged version and anyways I remember nothing except a sense of the inevitable in the characters' lives. War and Peace was published in 1869 and is considered Tolstoy's most important contribution to literature. I'll be careful not to call it a novel since he apparently objected to that label. I'm sure someone has coined a term for this hybrid of history and narrative. I'll be honest: this was a slog. I love Dickens and gulp down Hugo. Collins has no terrors for me (well, besides his Gothic-y ones) and I've plowed through Radcliffe without a tremor. I didn't think War and Peace would be so hard to get through, but it was. I started well but then just lost interest. Finally, several months later, I picked it back up and began, determinedly, to make my way to the end. I was going to finish it or be finished by it. Just under a year later, I read the last page and found myself both relieved and a bit sorry to be leaving that world. Resignation, a prominent virtue in some of the characters, is important in the reader as well. Indeed, for me the substantial enjoyment of the book only began once I gave myself up to it. By approaching the digressive sections with the same attitude as the narrative portions, I began to appreciate it and see why it has been hailed as such an important piece of literature. I feel a little foolish, actually... only discovering how to enjoy it in the last three hundred pages or so. The story sprawls and spreads in all directions, encompassing a wide range of characters who are all made real to the reader via Tolstoy's omniscient narrator voice. We get inside their heads and are privy to all their thoughts, recognizing our own mental landscape in their often illogical, self-absorbed thinking. Natasha is one of the most vivid characters I've ever read. Pierre, Andrei, Marya, Sonya, Nikolai, Petya... they all come alive and I remember them almost as people I knew rather than characters I read about. Tolstoy has a very decided opinion on historical figures and events, and expounds on it frequently! He believes that history is determined not by the decisions and actions of single figures (like Napoleon) but by the interplay of thousands and millions of individual wills. Again and again Tolstoy picks apart the historical analyses of critical battles and tries to demonstrate that success doesn't prove there was brilliant planning, and failure doesn't necessarily indicate ineptitude. He says that the ancients gave us a model of historical events that focused on the actions and personalities of hero-figures, and we can't get used to the idea of history without them — so we fashion historical protagonists and endow them with our belief in their power. He's eloquent and persuasive, but I found I had much less interest in his digressions than with Hugo's novel-length forays into the Napoleonic battles or Melville's detailed descriptions of whaling. Perhaps it's the repetition and the almost-petulant tone of his arguments? About halfway through the book, I watched the three-hour movie version starring Audrey Hepburn (perfectly cast as Natasha) and Henry Fonda. It was surprisingly faithful and we enjoyed it quite a bit. Of course the movie can't show the spiritual transformations several characters experience, like Prince Andrei's moment of illumination in the surgeons' tent, Pierre's slow maturation, or the fascinating mind and vitality of Natasha. Nor did the movie delve into Pierre's experimentation with Freemasonry, which Tolstoy describes in great detail. I wonder if knowing the end of the story actually helped me to enjoy the latter part of the book, seeing it all unfold with the details that the screen version simply can't convey. I read the translation by Richard Pevear and Larissa Volokhonsky, which is reputed to be among the best. My expectations were probably too high. There are definitely some awkward sentences, especially when Tolstoy is describing a character's inner thoughts and motivations, but it seems to be more what he wrote rather than a translator's misstep. I was standing at an airport lounge as a teenager many years ago, and suddenly realised I had no books to read for my family holiday. I was a SF geek at the time (still am, but I’m reading other stuff now), but had read everything that W.H. Smiths airport bookshelf could show me. In desperation and dread I turned to the classics... I'd read Frankenstein and other English literary classics by that point, and had found all of them tedious and obsessed with melancholy and/or an absurd idealistic idea of romance. Plots were contrived and you could see them coming a mile away. Of them all, only Dickens could make me smile and identify with his caricatures, but even he stopped short of fulfilling at times. If Victorian England had truly been like all of that that, then no wonder we were so repressed and messed up today. So in desperation and partly in arrogance I picked up this weighty book. None of my peers had read it, and it's size seemed to daunt many. I thought of the smugness I'd feel in saying I'd read it, even if it had been as dry and full of itself like so many others... The next two weeks were the best holiday read of my life thus far. From a stumbling start in the opening chapter and trying to work out who the hell everyone was, I slowly and surely found my way into one of the most beautiful and compelling novels I'd ever read... Tolstoy has a way of showing the inner spirit of everyone. From the bullying cavalry-man, to Napoleon himself and above all our principle characters. How I loved that bumbling, foolish and ungainly Pierre as he grew and flowered, and the impish Natasha who could melt your heart in the first paragraph you met her. Even thinking of it now, I am touched by tender thoughts and memories, interspersed with the grief of conflict and war and the nobleness of the human spirit. But is it a perfect book? No book is perfect. War and Peace is a brilliant book that should be read and enjoyed at whatever age a person is. It truly is a book for every age and every person. Let yourself into a world that will enrapt you. And a little request: can we in 2000 stop using the phrase "is not perfect ..." when describing something. Nothing in life is perfect. No book, no movie, no age, no accomplishment, and so on. Consciously refuse to compare anything to perfection and instead just enjoy something for what it is. Comparing something to the unobtainable 'perfect' merely diminishes that something and our experience. Don't be put off by folk complaining about the philosophical bits. There isn't too much of that anyway.I reread “War and Peace” recently, in no rush and over three weeks and was amazed by its richness and the development of character. Make no mistake, this is a Russian epic and you will find few books in a lifetime of reading which are as memorable. Take Pierre for example who goes from being a young buffoon worshiping Napoleon to become someone with a much more critical view, hoping at one point for the chance of assassinating him. This development does not happen overnight! He learns from his experiences in prison and through his relationship with Platon Karateyev. At the end you are left thinking that the story is not yet over. Pierre and young Nikolai Bolkonsky, patriots both - are thinking critically about society. Exile to Siberia is definitely a possibility if they get involved in anything too radical. Pierre is just one major character in this glorious book. Start when you can but don't rush it. Literature of this quality needs time. Reasonable defenders of “War and Peace” at (one of) its current length(s) might absolutely agree with being anti-literary-flab, and simply argue that this book isn't actually flabby. For example, the "side-track stories" are not "padding" or "excess", but rather constitute the "pacing" intrinsically needed by the "content" itself- so goes a point of view which I think is more care-filled than that of a "fanboy". Take a look at vol. II, pt. 5, ch. VI (it's only a couple of pages). Natasha has accepted Prince Andrei's proposal, and has returned to Moscow to meet the prince's father and get ready to get married. She meets Marya Dmitrievna, a society dowager, who intrusively 're-assures' Natasha about "old Prince Nikolai" and his resistance to his son's getting married. A tiny moment, particularly in that nothing in the plot changes as a result of this vignette, but we are shown: the social realities that Natasha is growing to recognize and understand; and the ego-centrism, diminishing, that's still the dominant tone in her character (she really sees this man whom she loves, but she thinks she can marry and 'have' him without marrying his family and being his socially positioned and positioning wife). You see my point? The story of the story doesn't change because of this little chapter, but our alertness to what Tolstoy is showing us is colored, or deepened, or enriched, or nourished (or whatever old-fashioned metaphor you like!) by this small facet. I have always been vehemently anti-literary-flab. The lack of an author's ability to distinguish what is essential and what isn't and to pare away the flab has always seemed in my eyes a weakness and not a virtue. It does not mean that I do not like long novels in and of themselves, I just find long swathes of them to be gratuitous flab (well written and brilliant though they might be). The Russian masterpieces act as a great case in point. “Anna Karenina”, “War and Peace” and “The Brothers Karamazov” (the three classic doorstops) were all written serially for the magazine The Russian Messenger. They were written in weekly installments by Tolstoy and Dostoevsky with word count and longevity of project strictly in mind (not that Tolstoy needed the money...). Now, the two authors knew that they were padding things out with side-track stories and story-telling devices, but we the modern readers know the books as they are and can't imagine any paragraph being cut (or in fact added to the end to smooth out the many-a-time abrupt endings, which are also legacies of the serialization). We like those novels for what they are and not for what they could theoretically be, but that doesn't mean that the modern author doesn't have the burden to perfect the pacing and content of his or her novel by removing the excess. There seems to exist nowadays a fanboy-like reaction to works even in cultured matters. People zealously defend endless novels, for some reason equating critique of length with critique of the total merit of the book. One can love a book and still critique its faults - we're not football ultras, we're readers. Basically I say that a modern-day author has no excuses for writing over-long. It's a shame that some Modern (and some not so Modern) Fantasy writers can't manage to edit down their magnum opus. This book is written quite different from his Anna Karininan. The is the story of the French and Russian war as told from the Russian front. At the beginning there are quite of few of the social aspects, the balls, parties, parlor visits, etc, but when it get into the war, Tolstoy really puts you there in the war. The logistics of war and wartime are laid right out there. The French were so not prepared for where their Napoleon took them. He didn't fight the war he had planned. And Alexander responded in kind. It very much came to the generals and commanders calling their own plays and battles. I much preferred Tolstoy's "War" to his "Peace". But I also liked how he wrapped up the story. This book was a watershed, in the sense that I decided if I could read this, the ultimate doorstopper, I could read anything. There was a rush of adrenaline when I got past the first hundred or so pages and realised that actually I could read it. It wasn't totally oblique, and in fact the deathbed scene early on in the book was quite funny. Having reached the end, though, it wasn't a totally positive experience. Mainly I disliked the way that Tolstoy builds up a situation of high tension (eg the character who amasses horrendous gambling debts) only to dispel the tension just a page later (whoops his father's paid the debts off). There were some sections I found fascinating from a historical viewpoint: life in Russia before the revolution where, like Michael Jackson's kids, everyone is a prince or princess. Also the modes of warfare, where telecommunications consisted of a bloke on a horse careering round letting everyone know what was going on. Except that by the time he got there it had changed. So, no joke, I’m going to review War and Peace? Pointless? Presumptuous? Yes, so feel free to get on with reading this Great Work. Of course I highly recommend that you read War and Peace. Even if I thought it did not live up to expectations, so what? Read it and form your own judgment. So, mainly for my own use, here’s my review. First, the fact that the book is one the Greatest of the Great Books (I mean, it’s *War and Peace*) does get in the way of just reading the book on its own terms, perhaps more than any work. But the book’s daunting length eventually cures you of that concern. Checking in at 1215 pages (including an Epilogue that is around 80 pages long), reading War and Peace is truly a marathon. I admit that at times it was a slog. I read the new translation by Richard Pevear, and Larissa Volokhonsky. From my limited research, the husband and wife seem to be generally considered as the best interpreters of Russian literature. How one judges a translation in a language one does not read is problematic, but so be it. A short summary: In the words of Woody Allen, it involves Russia. Ha-ha. Tolstoy basically follows the lives and fates of three families, all of them rather odd. Of course, hanging over all of them is the Napoleonic War. The story swings back and forth between the home front and the battlefields. Tolstoy’s realistic depictions of battle still seem quite modern in many ways – the fog of war, the wildly mixed emotions within each man’s breast, and the suddenness of death in battle. He also depicts life of the soldiers and life of the generals. The Rostovs are a noble family in Moscow who have hit hard times and are sliding toward disgrace. The story especially features the deeply annoying Natasha – what a helpless little drama queen! She moves from one crisis to the next, most of them either of her own making or exacerbated by her. Her brother Nikolai tries to perform heroic feats in battle. Little brother Petya provides the sudden tragedy. Over-protected Ma Ma provides the road to poverty with her witless insistence on living her normal life of luxury. The Rostoves are living examples of the need of proper Russian nobles to maintain appearances and of the men to be seen to protect the women (alas, not all Russian nobles are ‘proper’). We meet Pierre Bezukhov in the books first pages at a fancy party in comparatively racy Petersburg. He is then and remains always extraordinarily introspective and entirely susceptible to the needs of others. He begins quite poor, but his father the count acknowledges his paternity on his death bed. The count dies and suddenly Pierre is the wealthiest man in town. He also moves from one thing to the next, but never by half-measures; no dabbler is he. He marries disastrously (this wife later dies, during the occupation of Moscow, if memory serves). He joins and devotes himself to the Freemasons. He seeks to live a moral life despite his riches. Pierre always seems stunned like a duck that has been struck upon the head. ‘Dazed and confused’ might be going it a bit too far, but it gives the general idea. He is a space cadet. He is odd. He seeks out the Borodino battlefield and wonders around it. He narrowly misses being killed. At one point, Pierre ludicrously plans to assassinate Napoleon. Later during the occupation of Moscow, he is taken captive where he meets Karataev, a peasant with more sense than Pierre has ever experienced among the nobility. Well-rounded and grounded is Karataev and some of it rubs off on Pierre. He is eventually freed, falls in love with Natasha, and marries her in the first Epilogue – a fairy tale ending that Tolstoy somehow makes seem inevitable and necessary to the reader and thus acceptable. The Bolokhonsky’s are a noble family of some military notoriety and now ensconced at their Bald Hills Estate. At one time, son Andrei is to marry Natasha Rostov, but the demands of Andrei’s strange father manage to chill that idea (and then Natasha totally destroys it with an ill-conceived and idiotic fling). When war comes, Andrei signs on as aide-de-camp to Kutuzov. Andrei is intoxicated with the idea of glory and honor. He does lead an heroic charge and later organizes an artillery squadron’s even more heroic stand, but Andrei is seriously wounded. His near-death experience sends him spiraling downward. His love for Natasha flares up again, but then he is mortally wounded. Carried home, Andrei dies a long and painful death in her care. Tolstoy greatly admires the Russian general Kutuzov, who seems to have a mixed reputation among historians. He derides the ‘genius’ Napoleon. On the whole, however, Tolstoy eschews the Great Man approach to history. He regards the outcome of wars as controlled by great forces. In the second epilogue (Yes, there are really two epilogues! ), Tolstoy makes it clear that he believes a divine power is the moving force behind man’s actions. He seems not mean, however, that this control occurs in a specifically direct way with the Big Guy with the Beard directing each step. As these things always do, the attempt to reconcile an almighty god with man’s free will becomes hopeless. Tolstoy would have done the reader a favor by leaving out the second epilogue. He should have left it, as he had developed through the course of the book, his rather fatalistic view that the great streams of history so control events that the ability of individual people to change its course is extremely limited. I'll admit that I only read this so that I could honestly tell people I've read it. And yet it was extraordinary, the greatest novel I've ever read. As the Amazon spotlight reviewer says, it's long because it covers everything. Tolstoy surprises, reassures, and consumes at the turn of every page. He knows me. He knows my life. He knows how I will turn out and how my life will turn out. His characters are all so alive and realistic that when a knock on the door interrupts my reading and I go to answer it, I expect Prince Andrei standing on the other side. You'd think that it would be hard to get into the head of a Russian cavalry lieutenant from two centuries ago - the equivalent of my great-great-great-great-great-great-grandfather - via the imagination of a Russian aristocrat who is the equivalent of my great-great-great-grandfather. But no. Tolstoy makes them feel like my friends. He describes war as the utterly confused and perpetually unjust mess that it must surely be (like the WWI poets), and covers so many other themes that it would take a work almost as long as W&P to do them any justice. Especially when taken with Anna Karenina, which is almost as impressive and somewhat more coherent as a single story, Tolstoy seems more like the omniscient god of mankind's imagination to me than any religious "God" does. Bravo. I actually remember finding Tolstoy's Anna Karenina a good read, although it's been so long I'd have to reread it to relate what I found absorbing. War and Peace is a very different matter. It's a mammoth novel, one of the longest in the Western canon, roughly 560,000 words; it comes to over a thousand pages in the editions I've seen. I was determined to stick it out to the end because this is considered one of the greatest and most influential novels in literature, so I wanted to experience it first hand, and I didn't want to ever have to go back for another try again. I took it in slow steps, reading only one "book" of the 15 each day. Encompassing dozens of characters written in a God's eye omniscient view, it takes hundreds of pages before you get a sense who are the important characters. Among the LibraryThing reviews is an interesting comment by CS Lewis about War and Peace. It's meant to be complimentary, but expresses well exactly what I hated in it as a novel. Lewis talks about how Tolstoy negates what is "dangerous" in the novel form by never invoking the "narrative lust" to find out what happens next and instilling an indifference to the fate of the characters "which is not a blank indifference at all, but almost like submission to the will of God." In other words, you rarely care about what happens or about any of the characters. 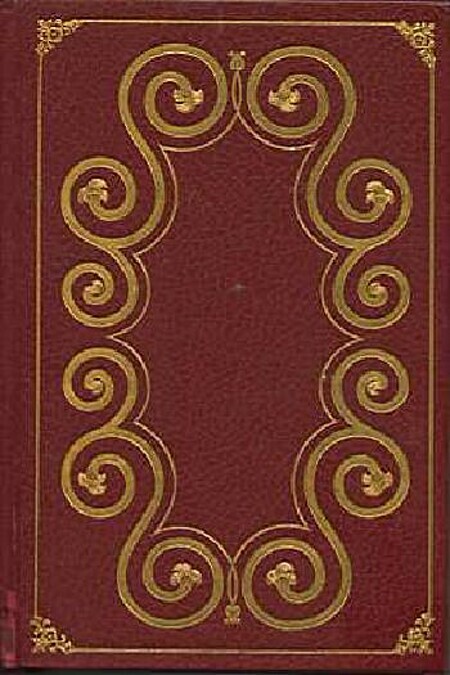 The novel centers on five interconnected aristocratic families, and if the novel has a chief character, it's Count Pierre Bezukhov. And he's a buffoon. When we first meet him, he's described as a "a stout, heavily built young man" with "natural" manners (meaning none) and he's such a social disaster his hostess follows him around to try to repair the damage of his ill-judged outbursts. He lisps, he stammers. He's easily led yet subject to grandiose delusions, he's absentminded and he's lucky he comes into an inheritance, because he had no idea what to do for a career, and lacks the basic competence to succeed. Soon after the party introducing him, he gets involved in a drunken incident where a police officer was tied to a bear and thrown into a river. Following him and his emo musings around for hundreds of pages wasn't a joy. It occurred to me that if we were in an Jane Austen novel, Pierre would be the comic relief--a Mr Collins or Mr Rushworth--not a character taken seriously. But it wasn't as if any of the characters initially popped out at me as distinctive or sympathetic or complex. Nicholas Rostov struck me as a fool, Prince Andrew Bolkonsky arrogant and callous, Boris Drubetskoy a mercenary social climber and all the Kuragins are despicable. Whenever I started to feel sympathy for some of the characters, such as Prince Andrew or his sanctimonious sister Princess Mary or the flighty Natasha Rostov, before long they'd do something to lose my liking. Pierre and his loves take up a lot the peace part, which contain long drawn-out set pieces such as masonic initiations, aristocratic hunting parties and opera performances. The book does give you a sense of everyday life among the 19th century Russian gentry. But the book is also famously about the Napoleonic Wars, but if anything, I found that part even more wanting. Please understand, I've read and finished and enjoyed lots of weighty 19th century classics, and a lot of them have been very, very long. And I love history, too, having read plenty of books on the subject around as long as War and Peace. This also isn't a girl thing. I was fascinated by Shaara's novel Killer Angels centering on the Battle of Gettysburg. But Tolstoy's battles are on the whole as sleep-inducing as his ballrooms. Despite some gory imagery here and there, and some vivid passages, his battle scenes are rarely exciting except when one of the major characters are in danger of their lives or wounded--a few pages out of many dozens. Tolstoy expressed well the contingent, chaotic aspect of battle, but neither leadership nor the bond between brother soldiers is something his view of war encompasses. Any time there are flashes of brilliance in his battle scenes, you can be sure the momentum will be broken by endless, repetitive digressions on Tolstoy's one-note theory of history (complete with algebraic equations at one point). Despite its reputation as the ultimate historical novel, I didn't feel as if I gained any insight into the history of the Napoleonic Wars and the personages involved. But then Tolstoy doesn't believe that leaders play an important role: "A king is history's slave. History, that is, the unconscious, general, hive life of mankind, uses every moment of the life of kings as a tool for its own purposes." Tolstoy scoffs at the very idea of military science or "military genius" determining outcome. His Napoleon comes across as a caricature. Tellingly, Tolstoy scoffs even at the idea that one can diagnose a disease--"no disease suffered by a live person can be known." Tolstoy at one point indulges in a long paragraph of national stereotypes--I had to shake my head at his characterizations of Russians, because it sounded so much like a description of himself as betrayed in his novel: "A Russian is self-assured just because he knows nothing and does not want to know anything, since he does not believe that anything can be known." If you can't believe in knowledge, then you can't have knowledge to impart. The idea of writing a review of War and Peace is daunting, to put it mildly. It’s such a huge, sprawling work, so ambitious, and in some ways so odd to a modern reader. But one thing for certain—it is an absorbing book that carries the reader along at almost breakneck pace, with few exceptions, for over 1200 pages. I’ve read it three times now, and each time have found it totally gripping—with the exception of the Epilogue. Taking Tolstoy at his word, this is not really a novel although it most certainly reads like one. Even the digressions into Tolstoy’s philosophy of history, in the main part of the book, are interesting rather than distracting. But what carries the book forward are the two themes: the Napoleonic Wars culminating in the French invasion of Russia in 1812 and the effect on the lives of mostly Russian nobility, although we get some idea of what happened to ordinary Russians, especially the peasants. Although may times touted as a love story, in reality it is an examination of the relationships between men and women of the upper classes, focusing primarily but not exclusively on Prince Andrei Bolkonsky, Pierre Bezuhov, and Natasha Rostov. However intertwined the two themes are, they’re treated separately and brilliantly. As someone who loves reading military history, I found Tolstoy’s account of the initial conflicts and then the battles of Austerlitz and Borodino utterly fascinating. I also appreciated his unromantic look at war, how it is waged, and the overall general mediocrity if not downright incompetence of most high-ranking military officers. Tolstoy ridicules Napoleon’s reputation as a military genius; I’m no expert on Napoleon so I can’t comment but it certainly makes for interesting reading. The only problem I had with the book was with Part 2 of the Epilogue. Part 1 follows the lives of Pierre, Natasha, and the Rostovs after 1812, and is the dullest part of the tale. Part 2 of the Epilogue is about 30 pages or so of Tolstoy’s philosophy of history—page after page after page of examples, adding nothing to an argument he already makes within the body of the book. The last 10 pages or so—if you manage to survive the first 20—are interesting as a summary of his power vs necessity view of history and have merit, but I have to admit that this part drove me crazy, and only my grim determination to finish the book in its entirety kept me going. The Appendix, however, is worth reading. And I think that one should read the Introduction before tackling the book. I, for one, didn’t find the huge cast of characters confusing or a problem.. The translation I read was the Pevear-Volokhonsky one; in this edition, there is an excellent list of characters at the beginning of the book. I referred to it for a while, but constant meeting up with the characters within the story soon made that unnecessary. I would recommend viewing the 1968 movie version of War and Peace as a companion to reading the book. I have the Russian-made version, with a superb cast and the Soviet Army as the extras in the battle scene. It is a magnificent accompaniment to reading the book, since it is extraordinarily faithful to the book. It’s hard to believe that in this day of CGI battles, that you are looking at real human beings marching in set formations across a battlefield. I've waited ten years for Pevear and Volokhonsky to translate War and Peace so I could read it in a GREAT modern edition. I'm reading it now and love it. A good translation makes all the difference. Garnet's translation was good for its time--but this one is amazing. This review is of the Maude translation, which is the only version of the work I've read. As such, I am in no position to evaluate how well it captures Tolstoy's voice, but the literary style of the work is a joy to read. War and Peace is simply a magisterial work. In an essay included in an Appendix to this edition, Tolstoy tells us that this work is neither novel, poetry nor historical chronicle, and I think he is quite right in this. The book has a sprawling narrative that takes a long time to come together, and even when it does, the reader is often following a number of distinct plot lines. At the same time, Tolstoy intersperses digressions on the nature of history and our overly simplistic understanding of world events. If one were to read the work as a straight story, it would feel disjointed and scattered I suspect. Yet it accomplishes a pair of goals with such power that one cannot help but be awed by the book. First is the incredible set of characters which he assembles. Tolstoy begins with a guiding idea for each character - Pierre's attempts to reconcile his spiritualism with his daily demeanor in contrast to Andrew's rationalism, or Natasha's overwhelming youth to Sonya's "sterile flower" approach to the Rostov's. These are typically coupled with a physical description that is repeated a number of times throughout (Pierre's size, Mary's eyes). From this simple base, the characters grow to be complex and subtle people. My hypothesis is that it is Tolstoy's mastery of written conversation, in which we get glimpses of real people, rather than bundles of preordained qualities. Indeed, as the characters become more realized to us the readers, the plot is bound together. As the novel progresses, the simple sketches are rounded out, and this brings us along throughout the many branches of the plot. I have already gestured at Tolstoy's second goal, which is the illustration of his thesis that history is determined by the complex causal history of an event. In a number of chapters he defends this view explicitly, and it gets a full treatment at the end of the novel. While not all of his arguments are entirely convincing (and at times he seems to reify "the spirit of the army" rather than using it as a shorthand for a more complex phenomena), he illustrates his thesis very powerfully. The battle scenes (Austerlitz stuck out to me in this regard) show how military action is determined by small decisions and events, rather than grand strategy. The "great man" thesis is far more intuitive than the one Tolstoy develops, so by showing us how this happens he makes his own view that much easier to grasp. There is actually quite a bit I want to say about this novel. First off, it's good - very good. When people said that they have read it more than once, I always thought, why on earth would you read it more than once - it's HUGE. But now I get it. It's a sweeping saga that unfolds on an epic scale. And once you have sorted the slightly intimidating cast of characters and their titles (not to mention the myriad of derivatives and nicknames), you become invested in their stories. I think that Pierre is my favorite character, but they were all well drawn and interesting. I would have liked to know more about the slutty Hélène and her slimy brother Anatóle, but that was not to be. What brings the book down a bit, I think, is Tolstoy's need to interject his own thoughts and theories into the narrative. This makes for a slightly jarring sensation - it throws the rhythm of the book off balance and feels like commercials have been inserted into the story. And now for a word from our sponsor... These asides are irritating and condescending, but also at times informative and insightful. Mostly they just make your eyes glaze over. I think he should have published these bits separately as a companion piece or put them together in the back of the book for further reading for those who were interested. So this is why, although I loved the book, my rating is not higher. I also made a slight deduction for the two epilogues. Two? No one needs two epilogues!! And let me just state right here that I did not and will not read the epilogues - they always annoy me and quite often ruin a perfectly good book. So no. Just no to the epilogues. The other thing I want to address are the translations and the audio versions of this book. I listened to the version that is narrated by Neville Jason - this is a five star listen if you are judging the narrator's performance. I cannot recommend this version highly enough - he is fabulous! Every character has a unique voice, and that's saying something right there because there are a LOT of characters in this novel. Jason also does a great job with all of the accents and with reading all of the French in its original form and then directly translating it without it becoming awkward or weighty. Don't be intimidated by the fact that the combined audios (it's in two separate books) are more than 60 hours of listening time. I listened at 1.25x speed for the peace parts and 1.5x speed for the war parts. Ha! This audio version is from the Maude translation, which brings me to the final thing I wanted to address - in my opinion, the Maude translation is superior to the P&V translation. Just saying. I often followed along in print, and what I had was the P&V translation - this allowed me to see the variations between the two, and I was amazed at what a difference the translation makes. The Maude version is so much more lyrical - much better use of language and word choice. Because after all, cudgel and club bring to mind different images in my head even though they are synonyms. The same thing with flushed and embarrassed. SO I am thankful that I chose to listen to Neville Jason because I liked his voice and his style - if not, I would have missed out on the lovely Maude translation and been stuck with the much drier and less poetic V&P version. Exceedingly dull with only a few interesting characters who will probably come to irritate you. Anna Karenina does the same thing, but better and in less pages. It was around New Years that I decided to take on the challenge of reading what I figured was probably the most famous book that no one ever reads. So I bought this new edition, written by a husband and wife translating team, that has been getting good press for their accurate retelling of Russian novels. The biggest obstacle, besides trying to hold the book upright in bed, is the long list of characters whose names appear in various formats throughout the beginning of the story. But the translation provides an important character list and the notes in the back fill in some of the historical notes in the story. Let me say that this was one of my better New Year’s resolutions and also one that I actually fulfilled. It was well worth the two months. Once I got to know the main families and how they are connected, I thoroughly enjoyed spending time with them – through the social occasions and the wars. The title aptly describes the structure of the novel which runs chronologically from 1805 – 1815, showing us scenes from the aristocratic social world of Moscow and St. Petersburg interchanged with the war scenes that increasingly get closer to affecting this same group. I found the war scenes interesting in that they were no different than many modern novels – Catch 22, The Things they Carried, Tree of Smoke- in showing the absurdity of war, the slim thread of difference between being heroic or cowardly, and the meaninglessness of best laid plans. Tolstoy freely injects his opinions throughout and asserts that the reason the French were defeated in Moscow had to do more with the spirit of the Russian People and the greediness of the French looters, than it had to do with great strategies by great generals. I enjoyed learning about Napoleon’s invasion of Russia and the wonder of Google allowed me to constantly read about the battles. One kind gentleman actually provided a Google map of all the locations and battle scenes mentioned in the book. It was probably part of his doctorial thesis. Mostly though for me, it comes back to the characters that make the novel one that will stay with me. The development of Pierre as he explores religion and politics and war to become the man he grows to be, the liveliness of Natasha, who I always thought of as Audrey Hepburn (since checking out the YouTube of the dance scene with Andrei) – she was the energy of the novel, the lively, enthusiastic girl that everyone fell in love with and who herself had mixed and varied emotions about the men in her life. The characters here were no different than those we have all come to know and Tolstoy was always willing to point out how universal the behaviors and actions were. I had to read this book because a lot of other Russian literature refers to Tolstoy's works, especially this one. It was interesting but challenging to get through. The most impressive thing about this book by far was the battles, Tolstoy's view of how the war between Russia and France unfolded and concluded, and the philosophy. I also learned a lot about the 'lack' of art and strategy of the old sword and cannon combat style of warfare. LOL It's these qualities that make it Russia's greatest novel. War and Peace is basically a soap opera set in the backdrop of a historical war epic. Sounds like almost escapist romanticism, like Gone With the Wind or something, right? Wrong. To begin with, as Tolstoy himself said and much of his contemporary audience agreed, it isn't even a novel. It's part, as Tolstoy put it, an "epic in prose," (back then, when novels were relatively, well, novel, the distinction between them and epics was much more widely understood) and part lengthy non-fictional rant. Mixed in with the story are a great many chapters with titles like "The method of history," "The cause of historical events," "The forces that move nations," "Rulers and Generals are history's slaves," and finally, "The problem of free will and necessity." (I don't think these are actually Tolstoy's titles, and were probably just inserted in my edition, but they are accurate summaries of the contents.) There's nothing wrong with addressing such abstract themes, of course, but in a novel they should be presented through the characters and story, not in a separate essay as an aside which, while it may be thematically related to the story, adds little or nothing to the literary merit of the work. I think it actually detracts from it, as Tolstoy's views and his arguments for them are almost ridiculously bad. If he stuck to presenting them through the story, one could at least appreciate it as a work of art, though not as a work of philosophy---as one can, for instance, with Anna Karenina, even though its themes are even more monstrous (as it is perhaps the most misanthropic, and especially misogynistic, novel ever written, yet it is "flawless as a work of art," as Dostoevsky said---and Dostoevsky is more humanistic and liberal by comparison, though actually his own views are also pretty medieval). In War and Peace, Tolstoy harps on these issues repetitively and seemingly endlessly. So what are the themes of War and Peace? Well, first of all, there's the senselessness and inhumanity of war. While that may in fact very often be the case, it's not like he's saying something new here, and other writers have presented superior artistic visions on this theme. Next, he insists that free will is an illusion caused only by our ignorance of the relevant causal factors, that men such as Napoleon do not move history (nor do even the masses, though Tolstoy believes they actually have much more to do with it than their leaders) but rather are puppets of History with a capital "H", which basically amounts to God's grand design. Now, it's actually a bit refreshing to see a Christian acknowledge that the existence of an omnipotent God who controls everything is incompatible with the existence of free will instead of trying to make pathetically tortuous arguments attempting to reconcile the two, so at least on this point Tolstoy is consistent. However, if you combine the idea that it is not man but God who is in control of man's actions with his first premise about the senseless brutality and inhumanity of war, the only conclusion one can draw is that God is a senseless, inhumane brute. And I don't think that's the view Tolstoy wishes to communicate. Finally, War and Peace is virulently anti-reason and anti-science; as Tolstoy writes, "If we admit that human life can be ruled by reason, the possibility of life is destroyed." In a passage on the various kinds of self-assurance expressed by various nationalities, he writes, "A Russian is self-assured just because he knows nothing and does not want to know anything, since he does not believe that anything can be known." (This is said approvingly, as opposed to the German's self-assurance, which is "worst of all, stronger and more repulsive than any other, because he imagines that he knows the truth---science---which he himself has invented but which is for him the absolute truth." The only problem with the Russians, apparently, is that they should take a more humble attitude instead of being so damned self-assured in their lack of intellectual ambition.) This is especially amusing, however, since Tolstoy tries extremely hard (though he does so extremely poorly) to use reason and science and prove his positions. Leaving aside the quality of his ideas, and skipping the non-fiction chapters (as you will probably want to do the further you get into the book and the more of them you encounter), what about the writing? There are hints of the literary genius (despite their even more hideous thematic content) of later works such as "Father Sergius," "The Death of Ivan Ilyich," and "The Kreutzer Sonata," but not very consistently---though it is still far more well-written than most of the trash that is published these days. There are a few, but not a great many (considering the length of the work), nice stylistic flourishes, such as this metaphor: "No matter what [Pierre] thought about, he always returned to these same questions which he could not solve and yet could not cease to ask himself. It was as if the thread of the chief screw which held his life together were stripped, so that the screw could not get in or out, but went on turning uselessly in the same place." The story is decent, but it would be easier to get involved in it if any of the characters were actually interesting or sympathetic, but they usually aren't. Oh my God. All of life, not all at once as my conventional phrase goes, but in a rolling, sprawling inexorability and you think, oh yeah, no book can be true if it's less than 1443 pages. A character makes his entrance and his exit, and in between you know him, you think "It's Adam!" or "lj_starksnow!" or whomever the hell, and you know, if he tried to do what his loose modern descendents, the Urises and Rutherfurds &et at try to do, say "It's only truly representative and the story of a people if it's the story of ALL the people," and put in lots of peasants and junk, well, you'll be on the side of the angels in class-struggle terms, but you'll also fail. With this extended family, this tiny world, that controls the whole of the biggest widest nation in the world, if it was any bigger it would crumble and if it was any smaller it wouldn't tell the story of a war and a people. And yeah it's a kind of cheat, but there's also that wonderful Hogwartsianness of it, and out in the world things are going on and then trouble visits you at home. Napoleon is pretty much Lord Voldemort, is what I'm saying. Parts of this were really good, but a lot of it just seemed like unnecessary padding. Don't bother reading Tolstoy's thoughts on War and Peace or the second epilogue- actually 1st while it continues the story a little, it is ultimately boring and unsatisfying. On the whole, I loved the book although I didn't find the "war" parts as interesting as the love parts, but I tend to be like that. It's known that it took Tolstoy six years to write War and Peace. It took me almost two years to read it - not because I didn't enjoy it, but just the way my reading time was used. I liked this book. It's many characters were interesting, diverse, intertwined in many cases, and individual. Tolstoy did a great job of making each one different from the others. War and Peace ( War and Peace - Vintage Classics) is, probably, a Russian classic with the highest world-wide reference ratio. Not just because it is a great read, but also because it has become a metaphor for 'difficult' literature - too long, too serious, too many characters, too many historical or philosophical digressions. Languagehat, a brilliant American blogger, reports that he has just finished reading War and Peace (over a year since he started) - and grumbles that philosophical chapters are amateurish, unnecessary and spoil the novel. I have tried War and Peace several times since I was a teenager, and each time I have enjoyed it UNTIL I get to the same bit. This is the bit where Tolstoy decides it's time to give us all a little lecture (say, a mere hundred and fifty pages) on his theory of history. I think this is in an inexcusable flaw in a story, book, or epic. Worst of all, it makes poor Leo Nicholayevich into precisely the pretentious git which he didn't want to be remembered as. Because of the pretentious and boring quality of the classic War and Peace, I quit reading this book. But I felt like I had failed when I was a teenager. Now I am a mature adult and I know better: Tolstoy was being a pretentious bore. Well, ask Tolstoy's good friend and follower Gandhi, he would agree - Tolstoy is some work. But that work helped Gandhi change himself - and the world. I suspect Maugham envied Chekhov for his ability to construct a gripping story without a real plot - and disguised it as critique of Russian 'verbosity' in general. Even though compactness is one of the most striking features of Chekhov's style. Maugham himself digresses into a whole chapter of criticising Chekhov for his lack of narrative in 'Ashenden', supposedly a spy thriller based on Maugham's own experience on Her (sorry - His) Majesty's secret service while trying to stop the bolshevik takeover of Russia in 1917. In another chapter Maugham implies that the revolution only happened because the people who could have stopped it spent too much time talking. I think Tolstoy also envied Chekhov for the same reason - and also criticised him. But Tolstoy hated his own 'verbosity' and worked hard to make his language compact. I agree, we Russians are famous for our 'verbosity', but, in fact, we generally hate it too. We have a huge thesaurus of hate phrases for it, including many expletives. And Maugham is one of our favourite English writers. I finally read this in the space of 26 days after it had been sitting on my bookshelf for a decade. For the most part, War and Peace is simply brilliant. The main characters are wonderfully drawn, and I loved getting inside their heads and rooting for them all the way through. I also felt that I got a good sense of what it was like to be in (or on the edges of) the upper echelons of Russian society in the early 19th century through the descriptions of various social scenes and the viewpoints of minor characters. I also enjoyed the war scenes involving the main characters. However, I didn't quite get on with some of the other war parts and the various passages ruminating on history in general, especially towards the end. I was also a little let down by some of the main characters' fates as described in the first epilogue (mainly the way in which the female characters are depicted), but I recognise that this is partly due to the era in which the novel is set/was written.